I’ve been thinking a lot about how grateful I am to still be alive and able to celebrate my 28th Birthday (yesterday). The sad thing is that I’m not being dramatic when I say that a lot of people thought I’d be dead by now. From when my mental health really deteriorated in 2009 to my long hospitalization in 2012, my records showed that I’d taken over 60 paracetamol overdoses. And even though not all of those overdoses were suicide attempts – sometimes they were just a desperate bid to silence the voices that commanded me to take it – they all could have ended in death. At the age of 21, I could have died more than 60 times. So maybe it’s understandable that I’m a little bit emotional about making it this far! Now I know that I have a lot of readers who can identify with those very dark days and I’d like to think that in doing so, they might find some hope in the fact that I’ve managed to recover from that time. 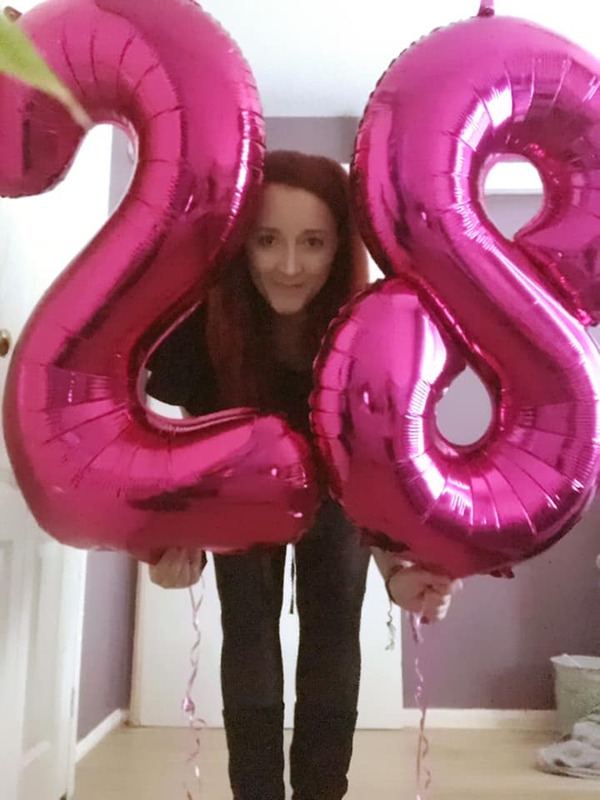 So, I thought I’d put together a little post with the top five things that I think have gotten me to 28! How could I not list the one person labelled as a ‘protective factor’ in my Care Plan as the number one reason that I made it this far?! Frustratingly, there will never be enough words in the world to describe how grateful I am to my Mum for unconditionally standing beside me. Where professionals seemed to give up or stop caring, my Mum was there fighting for them to change. When I was at my lowest point, my Mum was there to raise me up. When I felt at my weakest, my Mum was there to strengthen me. When I’d given up, my Mum battled on until I was ready to join the fight. 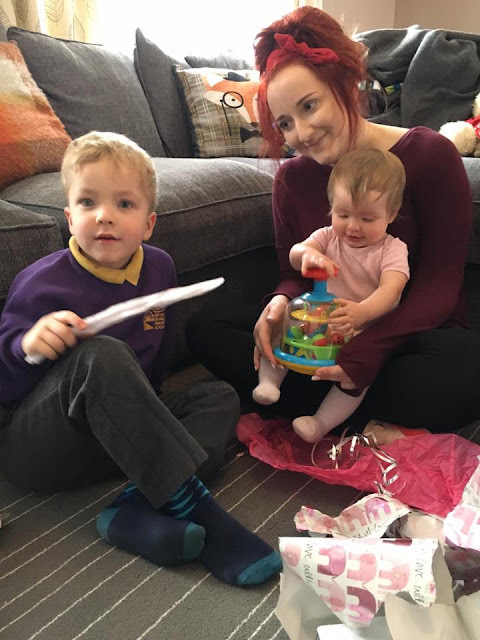 She talks a lot about how my recovery is down to me because she’s one of those selfless, loving, people who can’t see quite how amazing they are! I truly wouldn’t be here today if it weren’t for my Mum. I met my best-friends, Ellie and Lauren two years before I began hearing voices and took my first overdose, so they’ve literally been there from the very beginning. And it hasn’t just been me who’s gone through a lot in the past twelve years that we’ve been friends; there’s been tears all over the place! Relationship break-ups, births (hello to Ellie’s children aka my God-Children; Jonas, Emmy ((not to be mistaken for my kitten Emmy!)) and Kasper! ), deaths, marriages, moves, illnesses, jobs, qualifications… And there’s no two girls I’d rather have gone through all of that with! Pets have always played a huge part in my life; I’ve always had at least one since I was little – fish, hamsters, gerbils, cats, rabbits… Our first cat; Saffy saw me through some of my toughest days through the abuse and then the first three years of my ill mental health. I was so grateful that when I went to Hospital over 100 miles away, she could be there to keep my Mum company. When we lost her – at the ripe old age of 12, it felt natural for my Mum to get another cat and with me moving into my own home, I couldn’t imagine my life without one! Dolly saw me through those first tough years of transition as I moved from a Hospital back into the community and when the hallucinations came back it somehow became the obvious decision to get an actual, real rabbit! Pixie completed my little family and when we lost Dolly… Emmy brought the giggles and happiness back into life! I am so lucky to have something that I really enjoy doing, become so much more than a hobby. 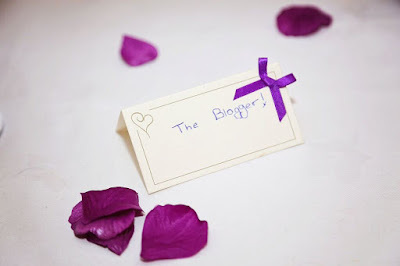 I don’t know whether I should call it my career, but blogging is definitely my biggest commitment! It’s an incredible feeling to have something I am truly proud of and passionate about. After so many years of overwhelming, negative, debilitating, emotions; it’s refreshing to feel such positivity and enjoyment. 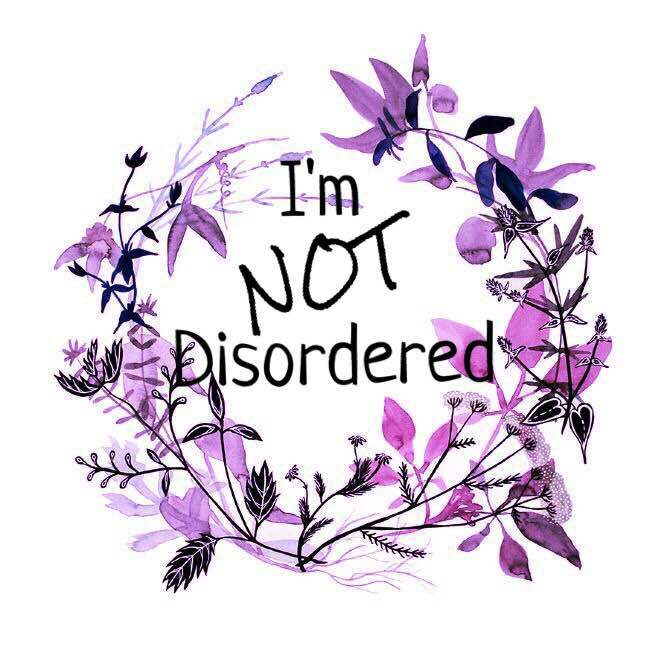 Every day that goes by when I’m NOT Disordered’s success grows further, it’s another reward for those years in Hospital going through intensive trauma therapy and learning new coping skills. 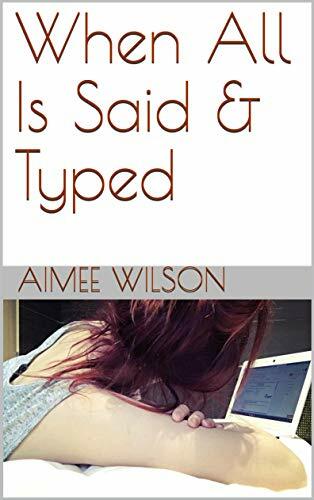 For so long in my life, my greatest achievement was passing my GCSEs – even six years after them – and now I achieve something great every day through I’m NOT Disordered and my incredible, ever-growing community of readers! And for that, I am forever grateful. 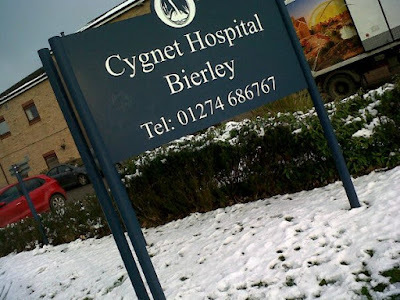 Going into Cygnet Hospital Bierley meant that all of my unsafe and unhealthy coping mechanisms were suddenly taken from me and I was basically, forced to learn new ones through Dialectical Behaviour Therapy (DBT). Learning DBT over two and a half years taught me how to; manage overwhelming emotions in a safer way, build healthy and stable relationships, and to be kinder to myself. When I first learnt mindfulness (a skill in DBT) I panicked at the thought of being ‘in the moment;’ fully believing that if I was – if I allowed myself to completely feel all my feelings and experience all of my thoughts - I’d be suicidal. Being in Hospital when I began trauma therapy and psychology sessions was so helpful; I don’t know if I’d have been safe if I hadn’t been. The appointments were both physically and emotionally draining but enlightening and rewarding too. I learnt a lot about how my trauma had shaped my take on the world and the influence it’d had on my coping mechanisms. It took a long time for me to come across the right professionals who understood how best to support me and within a year of finding them, I was admitted to Hospital over 100 miles away! I remember this one point where my Community Psychiatric Nurses (CPNs) were leaving so often that I’d convinced myself it was because of me and not actually all the valid reasons they had e.g. pregnancy, family bereavement, long-term sick leave, retirement, a new job, promotion… and it didn’t help that a huge catalyst for a lot of my self-harm was change! When I finally got the CPN (Shirley) who knew when to refer me to the Crisis Team, the Psychologist (Jenny) who taught me outpatient DBT skills, and the Psychiatrist (Doctor Brown) who had me write my Advanced Statement (something I believe helped my recovery many times! ), I thought it’d be enough to get better. It wasn’t but it was then thanks to the three of them that my referral to Cygnet was made and I was admitted to their Bierley Hospital. In Cygnet I met some incredible staff! With the ward specializing in Borderline Personality Disorder, all staff were knowledgeable in the best ways to respond to those struggling with the illness. They knew what would make it worse and what could make it better and sometimes, yes; they still got it wrong but ultimately, I met two of the greatest professionals in there! My Key Nurse; Debbie became a second Mum – whilst still keeping the professional boundaries of course! But she made a huge effort to learn about me and tailor her approach to my care to fit in with this. And the Specialist Doctor; Doctor Andrada – was one of the most incredible, caring, kind and dedicated people I have ever met! No matter how often I pushed her away when I panicked that she was getting too close to the ‘real Aimee’ or how far I pushed(!) she always bounced back, and her unwavering support helped me through some really tough times in Cygnet. 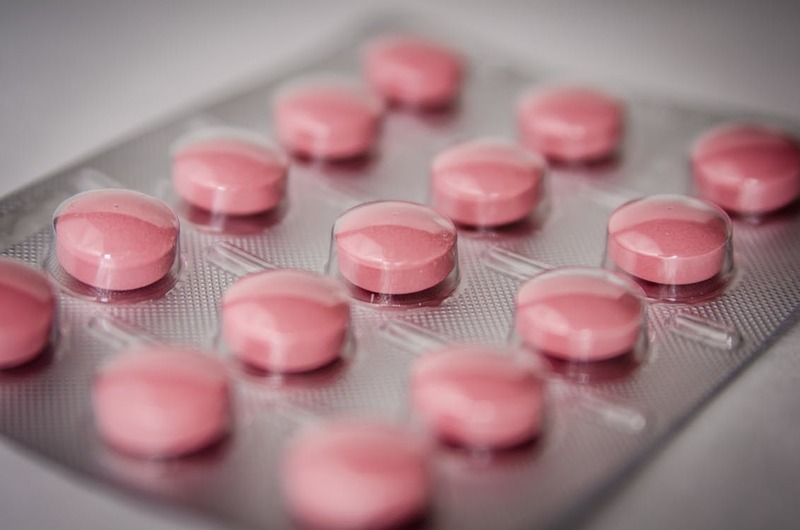 Since taking myself off my medication last Summer and going into a relapse, medication has been a bit of a focal point for a lot of professionals working with me at the moment. We have some disagreements as to how important medication can be, but I think we all recognize – at least to some degree – that I need it right now. I can remember the very first time I was put on medication; it was the second time I was sectioned back in 2009 and the Psychiatrist that signed the section papers told me it was to start me on an anti-psychotic medication to get rid of the voices. I remember thinking ‘I’ve gone properly crazy if I need medication for it!’ The past ten years have been a blur of ‘zoles’ and ‘pams’, little pills, big pills, blue pills, white pills, yellow pills, round ones, oval ones… After the relapse, I think it’s safe to say that my current medication is a bit of a lifesaver! I recognize that it doesn’t solve everything, and it isn’t the ‘answer’ but if it helps while you try to find that answer then isn’t it worth the swallow?